So good you won't want to share....shhhh! 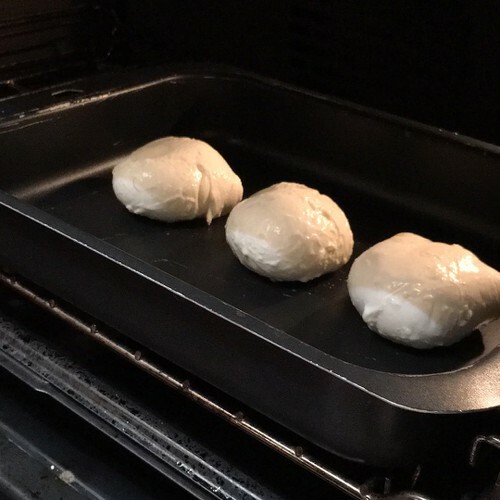 Grease an oven tray and place the 3 balls of mozzarella in the middle. Bake in the oven for 10 minutes at 180°C to melt the cheese. Remove the sheet of melted mozzarella and using a rolling pin, roll into a rectangle shape. Cut the mozzarella sheet in half, and add the prosciutto ham and sundried tomato to one end of one half, and ricotta and basil leaves to the end of the other half. Roll the mozzarella up to form 2 sausage shapes. Cut 3cm pieces of the rolled mozzarella, and dip each piece in egg and then breadcrumbs and fry for 3 minutes in a little oil till golden brown all over. Enjoy hot dipped in ketchup.